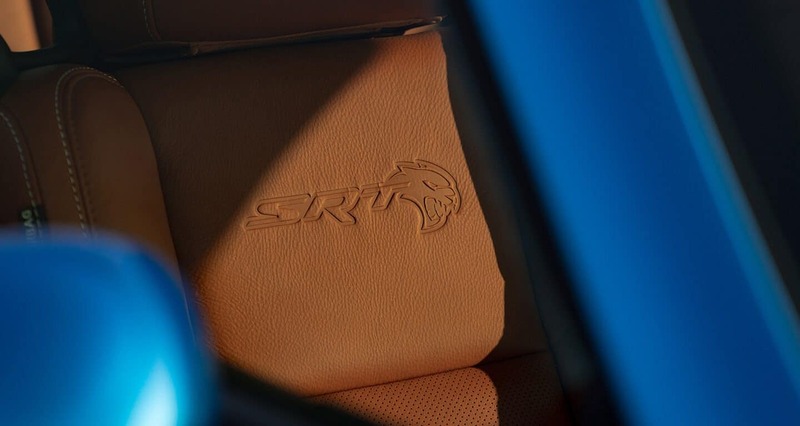 The Challenger delivers good looks, power, and performance year after year and things are only getting better for the 2019 model year with the introduction of a brand new model: the SRT Hellcat Redeye! This muscle car offers a little something for every kind of driver thanks to an expansive array of trim levels that offer a range of horsepower capabilities and technology. 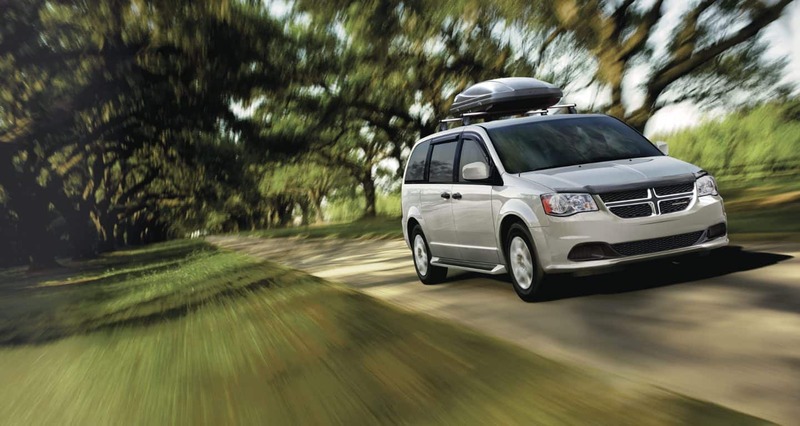 The Challenger offers a spacious rear seat and a huge trunk that makes it easy for friends and family to come along. Plus, it boasts a five-star safety rating to keep them safe! We've got so much more to cover from the outstanding engine lineup to the incredible technology features so keep reading! What kind of feature options does the Challenger have? The five-seat Challenger is offered in six major trim levels for the 2019 model year. The lineup ranges from the base SXT to the brand new SRT Hellcat Redeye! Standard features for 2019 include a rearview camera, 18-inch wheels, Apple CarPlay and Android Auto, dual-zone automatic climate control, Bluetooth, two USB ports, dual-zone automatic climate control, a leather-wrapped steering wheel, and a 7-inch touchscreen. As you climb up the trim ladder you will find more advanced features like more aggressively bolstered front seats, a sport suspension, sport steering wheel with shift buttons, heated steering wheel, configurable driving modes, performance related in-car apps, limited-slip differential, interior ambient lighting, and special styling and performance enhancements. Can you tell me about the powertrain options for 2019? 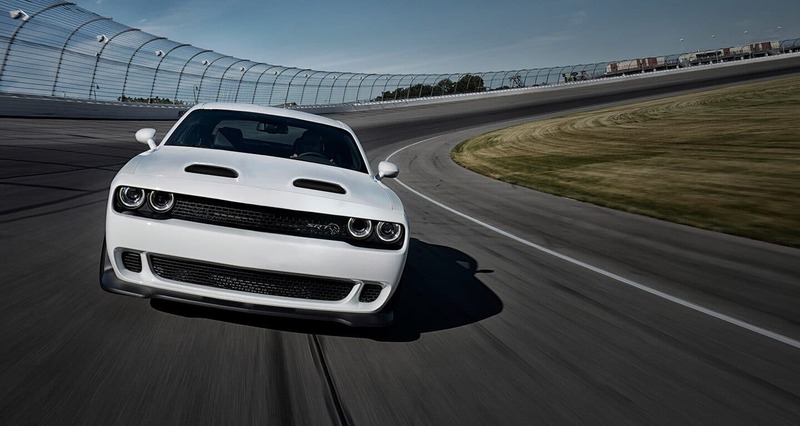 The Challenger's powertrain lineup consists of five phenomenal engines and two incredible transmissions. 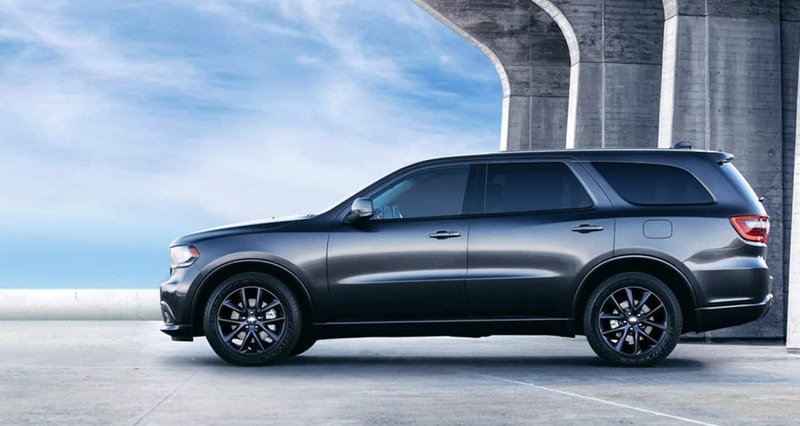 The first engine, the Pentastar 3.6L V6 generates 268 lb-ft of torque and 305 horsepower and is offered with both rear-wheel and all-wheel drive configurations and comes mated to the eight-speed automatic transmission. Looking for the power a V8 engine can provide? Step up to the available 5.7L V8 that delivers between 372-400 hp and 375-410 lb-ft of torque depending on the transmission that you opt for. The available 6.4L V8 offers even more power with 475 lb-ft of torque and 485 hp. 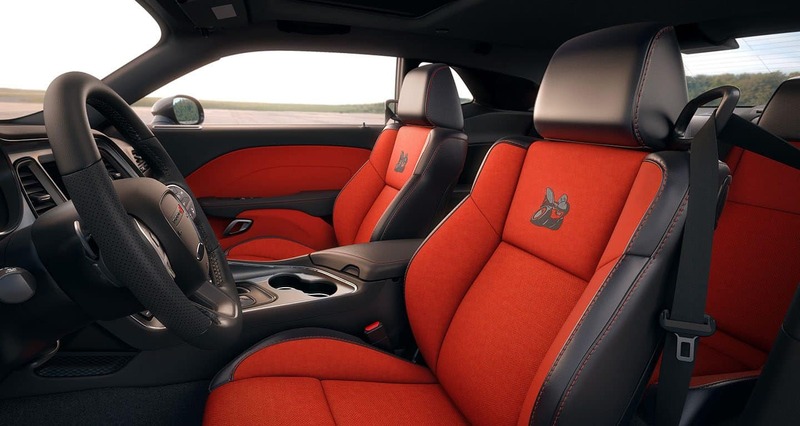 The Hellcat is powered by the 6.2L supercharged V8 delivering 656 lb-ft of torque and 717 hp! 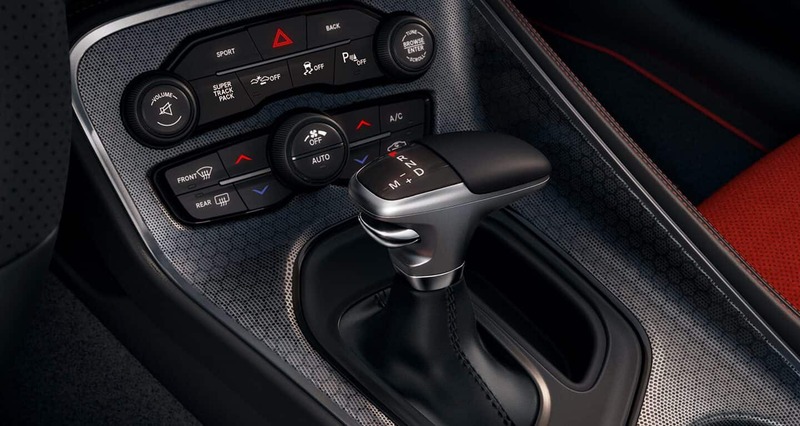 You have can choose between the eight-speed automatic or six-speed manual on all V8 engines except for the Redeye engine which only comes with the 8-speed. The final engine resides under the hood of the new Hellcat Redeye. 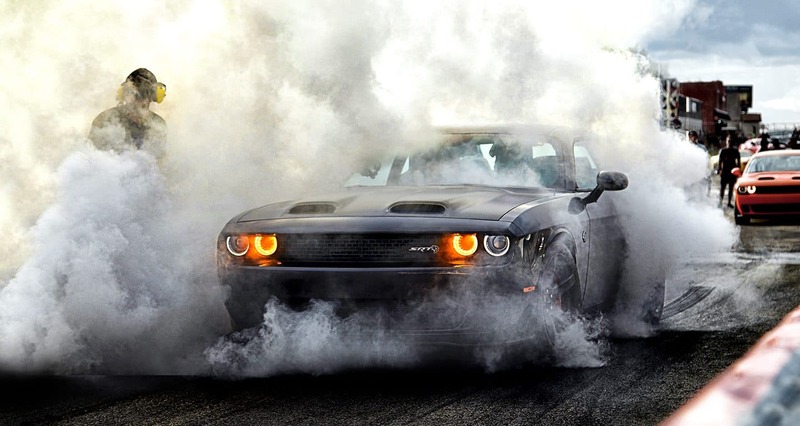 This 6.2L Hemi Supercharged V8 pumps out a mind-numbing 707 lb-ft of torque and 797 hp! What kind of safety features does the Challenger offer? 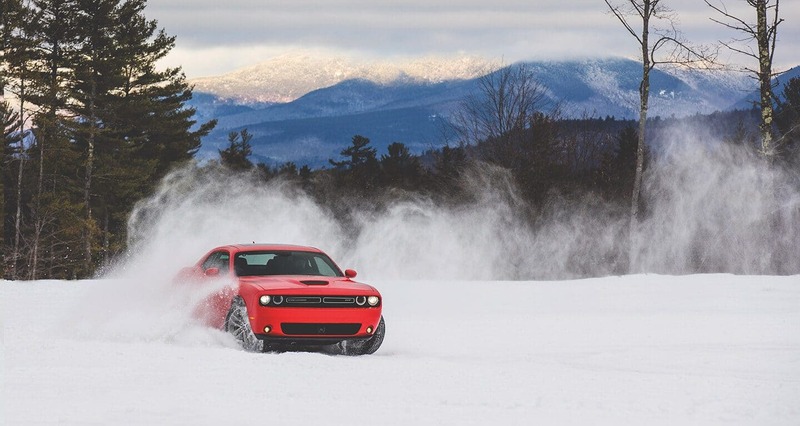 Dodge calls the Challenger a "Guardian with Grit". The performance geared brand pairs iconic style with advanced technology to keep you safe on the road and the track. Stand out features for the 2019 model year include the standard rear backup camera from ParkView, available Full-Speed Forward Collision Warning, available Adaptive Cruise Control, available Blind-Spot Monitoring, and available Automatic High-Beam Headlamps. The body of the Challenger is created with high-strength steel for a solid structure with significant roof strength, front and rear crumple zones that absorb impact from crashes and redirect away from those riding inside, and standard airbags installed throughout the cabin. 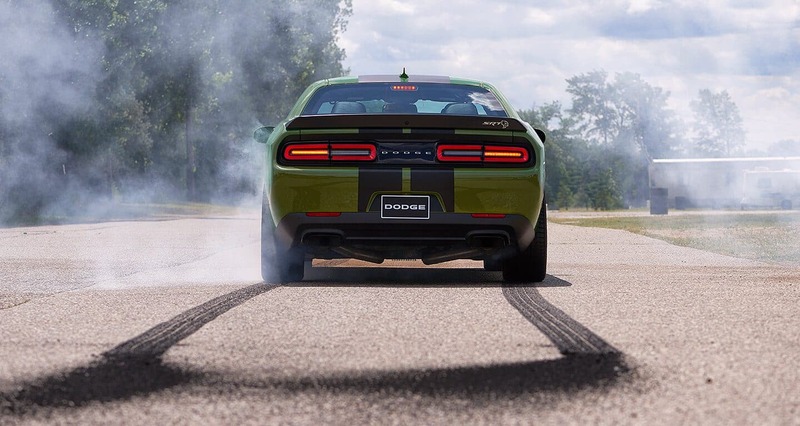 The 2019 Dodge Challenger offers everything you could ever want in a vehicle and so much more! If you are interested in checking out a Challenger in person come on down to Lone Star Chrysler Dodge Jeep Ram. Our sales team would be happy to treat you to a personal Challenger tour and then take you out for a test drive so you can feel the power this beast possess for yourself!